On arrival our representative(s) arrange for the transfer to your hotel. Check into the hotel and use the rest of the day to rest and get acclimatized to the high altitude (**** meters/****0 ft) and low air pressure in Leh. Strolling around the local markets maybe a good idea during the evening. Overnight stay is arranged at the Hotel. Post Breakfast we proceed for Indus Valley Monastery tour including Shey The ancient capital of Ladakh Thiksey an impressive complex rising tier upon tier on a hill above the village Stok Palace & Sindhu Ghat. Evening come back to hotel. Overnight at Hotel. morning starts with a visit to Khardongla Pass which at ****0 ft is the world's highest motorable pass. During the afternoon you are introduced to a local family in Stok village which serves delicious home made butter tea and barley drink. Later visit the Thiksey Monastery which houses the most photographed statue of Maitreya Buddha in India. Return by evening for overnight stay at the hotel. 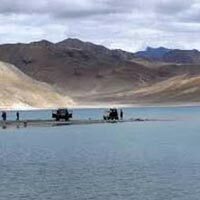 In the early morning of the penultimate day an excursion is scheduled to Pangong Lake a 135 km drive from Leh. 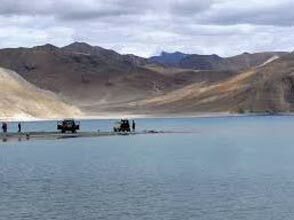 The Pangong Lake is 140km long and 3-5km in width – more than half of which lies in Tibetan territory. As you return back Leh by evening you can use the remaining time exploring local markets looking for a decent bargain. Overnight stay is again at the hotel. Early morning transfer to KBR airport to board flight for onward journey.